We are excited about what God has done, is doing and are looking forward to all that God has for us in the future as we continue to seek him for guidance and wisdom. 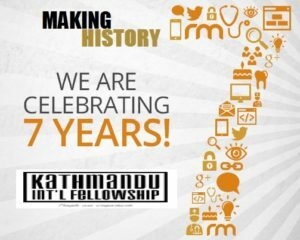 We are celebrating 7 years of God’s faithfulness on Saturday, Apr 6, 2019, 3 pm till 5 pm instead of 10:30 am at KIF. We hope our story of God’s steadfast love and kindness will encourage you too. It will be our joy and pleasure to have you all worshipping and fellowshipping with us as we share/hear God’s story through KIF. Optional Note: Come in your traditional Dress & National Flag. Do join us as we celebrate!!! 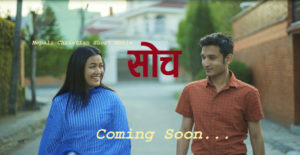 We will be screening 2nd short movie “Soch (thoughts)” by Naresh Lawati & team during this celebration. There is no ticket price, but we will take a special offering that will go towards the building fund for the relocation of New Revelation Church. Hope to see you there!